Last week, I worked and worked and worked. On Thursday night, I had some friends over (who, of course didn’t have to go to work on Friday). It was a blast, until Friday morning, when I had to go to work and no one else did. Ah well. It was still worth it. We watched ANTM, the drinking version, and a movie. On Saturday, I had brunch with some friends, which was delightful. I do love brunch. What’s not to love about an excuse to drink mimosas? 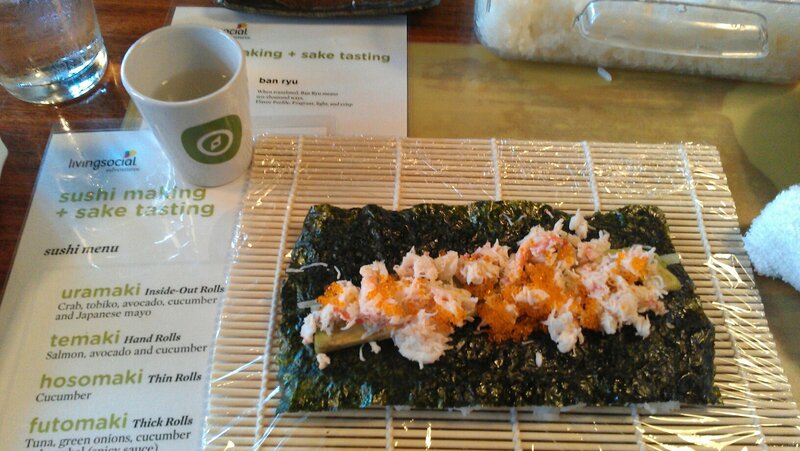 On Sunday, thanks to LivingSocial Adventures, I took my mom to a sushi making/sake drinking class. It was fantastic. 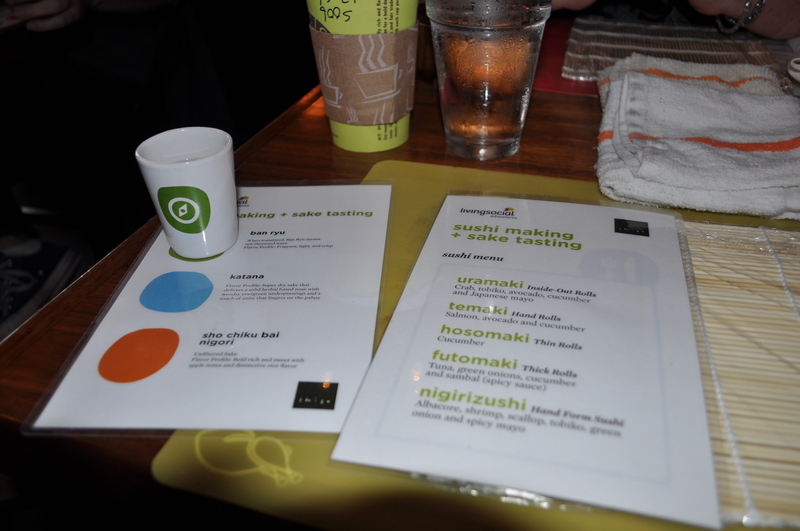 For just $55 per person, we got four glasses of sake and made five rounds of sushi. So much fun! 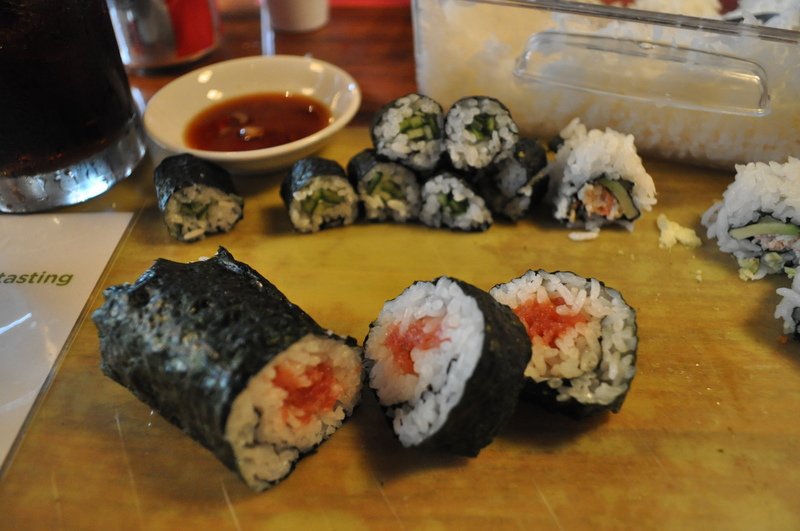 First round of sushi in progress - an inside out roll. 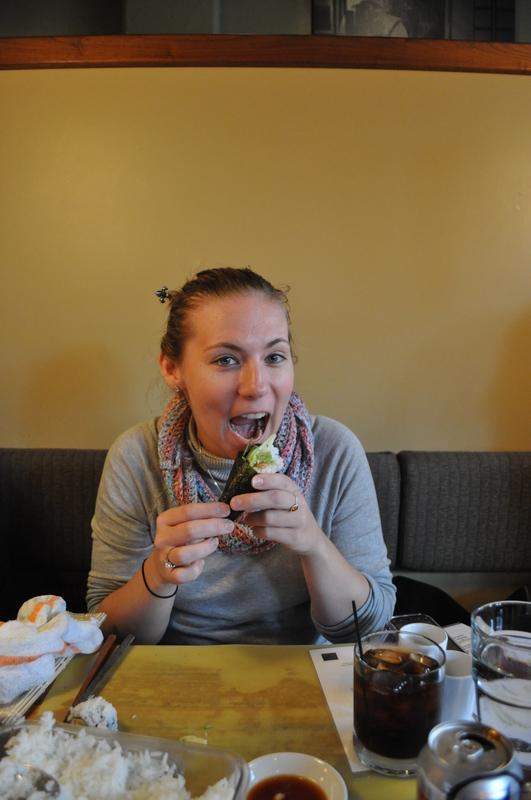 I'm now a pro - especially at the eating part. 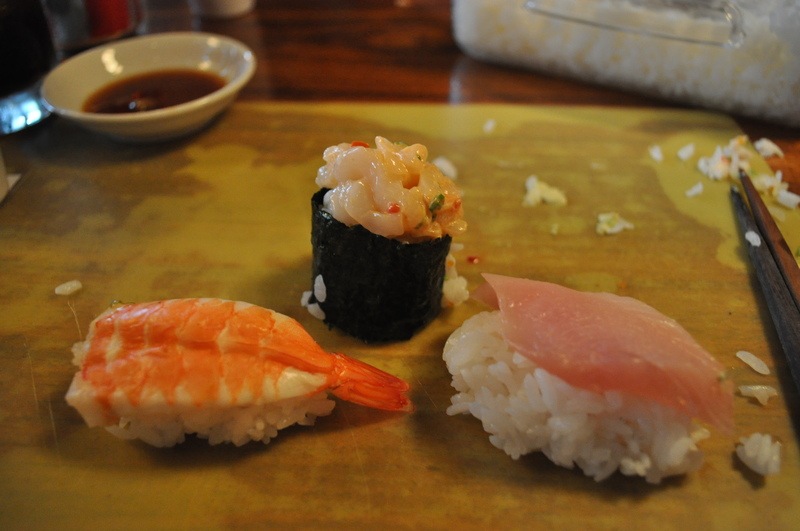 I’ve made sushi a number of times before, but I learned how to make some different types on Sunday. I can’t wait to try out the new techniques at home. Yesterday, I got my bar number! So, I guess that means I’m now completely, officially a lawyer. Crazy. I keep thinking someone is going to call me and say, “Whoops! Just kidding. You didn’t actually qualify to be a lawyer.” Or they are going to call me and tell me that I failed the bar or something. But, once the number is posted, it must be true. Right? They can’t take it back now! Overall, things are going well. But of course, there are the lows – missing Isaac (I’ve never been the girl who misses people. What has he done to me?! ), being sick with a massive cold, being completely swamped at work, and going a bit stir crazy from lack of travel. 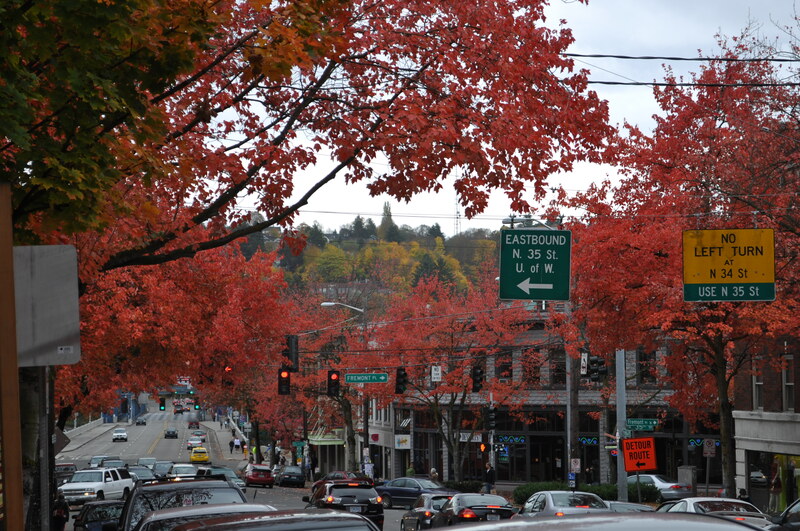 I think I’ll try to plan a weekend trip for sometime soon… that should help. Also, ski season is starting soon. That’s bound to make me feel better. Let it snow! Let it snow!